← Shelter in Place: How to Talk about the Alleged Boston Marathon Bombers? News broke this past Monday about a “terror plot” that was foiled by Canadian law enforcement and security units, where two men with alleged links to al Qaeda in Iran planned to blow up a passenger train between Toronto and New York. Unlike the Boston Marathon bombings, this affair did not end in violence, though the social effects in its aftermath have followed a familiar script. This twisting of the scripts by which the media filters and processes acts of “terrorism” is important. It sidesteps the ruthlessly simple logic of American anti-Muslim racism by reminding American media consumers that Islam is not so easily racially coded, subtly unraveling the very thick equation, in the American media imaginary, of Islam with brown/Other bodies. 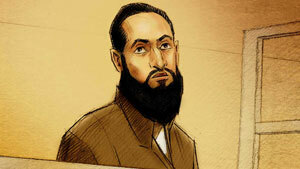 While the range of popular discourses about Islam in Canada is similar (if less heated) to that in the United States, one interesting twist in this particular case is the involvement of the “Muslim community” in helping to foil the plot. Superintendent Doug Best said authorities were tipped off by members of the community of one of the suspects. “It was sort of a thank you moment,” Hamdani said. “This tip, this lead, came from the Muslim community. But for the Muslim community we would not be talking about an arrest today. What I have found most interesting in the aftermath of this affair is how the involvement of the so-called “Muslim community” in helping to foil the plot reveals an interesting “twisting of scripts,” as Schaefer puts it, which serves to complicate the neat media narrative that is often coded with a subtle “us versus them” coloring. Despite the capital gained by the “Muslim community” in this affair, however, representatives were still forced on the defensive. In the first example, we find a familiar dynamic where community leaders are forced to denounce the actions of a small group of people against the suspicion that they represent “Islam” as a whole, while emphasizing the essence of the faith as one of peace and not of violence. In the second example, the guest, Raheel Raza, is empowered as an insider in this affair because she has adopted a narrative that places blame solely on Islam, however much it is framed as “radical” or “deviant” from the norm. While Raza does not denounce her religion as a whole, both she and the representative of CAIR-CAN are forced, consciously or not, into the familiar good Muslim/bad Muslim dichotomy, where it is apparently self-evident that these actors have been motivated by “Islam.” As a consequence, they, and indeed the entire “Muslim community,” are lead to adopt a narrative that seeks to defend a certain version of the “faith,” and one, in the case of Raza, that is more palatable to a conservative western script. While it is not surprising that self-identified Muslims would want to protect their communities against very real threats that often arise in the aftermath of such events, nowhere in these media scripts do we find any analysis of the broader social field that may have motivated the alleged plotters, including, for example, what formative and on-going political reasons might have led to such actions or how their experiences as racialized immigrants may have contributed to social marginalization? Likewise, Canada’s long-standing role in the war in Afghanistan, its more recent vehement support for the policies of the state of Israel, its severing of diplomatic ties with Iran in September of 2012, and its creation of the controversial Office of Religious Freedom, which critics argue is a ploy to appease favored domestic religious groups, among many other socio-political variables, may provide some further clues in this affair. This entry was posted in Matt Sheedy, Politics and Religion, Religion and Society, Religion and Theory, Religion in the News, Theory in the Real World, Uncategorized and tagged boston marathon bombings, CAIR-CAN, Islamophobia, Terror plot. Bookmark the permalink.